A company that holds its own on the market for several generations, knows the building blocks of success. Much commitment, innovative power, creativity, flexibility and hard work. Customer-oriented thinking, making the right decisions and always being a reliable business partner - our claims of tradition. When it comes to sealing, damping and insulating, rubber profiles for diverse applications in industry, community and commerce are functionally developed, designed, produced and supplied by us. We also assemble into ready rings and frames. When it comes to sealing, damping, insulating and protecting, molded rubber parts and composites for various applications in industry and commerce are functionally designed, manufactured and supplied by us. With its viscoelastic properties rubber convinces in almost all respects. Rubber hoses meet in many areas of industry and the industrial sector the most varied tasks. Elastic rollers for technical and graphic applications. Our quality products rollers and roller covers meet precisely, reliable and of course economically also unsusual functions. We develop, design and produce functionally-designed, large-volume extrusion products and gaskets. We are specialized in extruding large profiles especially for sluices and weirs and can also assemble them into ready rings and frames by corner vulcanization. "Innovation by tradition" has been the motto of our company for more than 115 years. Beyond the mainstream, we focus on our main competence in the field of innovative and traditional production and in processing with rubber. Long-term partnerships, performance orientation and humanity as quality characteristics, are an integral part of our company culture. 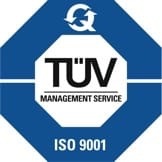 All areas of our company are involved in a closely networked quality management. Direct and transparent communication channels guarantee in this regard qualitative, quantitive and temporal deadlines. In this context, the comprehensive settlement of the customers requirements is always at the center of our activities. Gummi Hansen cares for the highest quality on customers and suplliers side. With the majority of our customers we already enjoy decades of good business relationships.